Harendra, who led the junior men’s team to the World Cup title in 2016, had succeeded Marijne as the women’s team coach last October. Both have been given contracts till 2020 Tokyo Olympics. 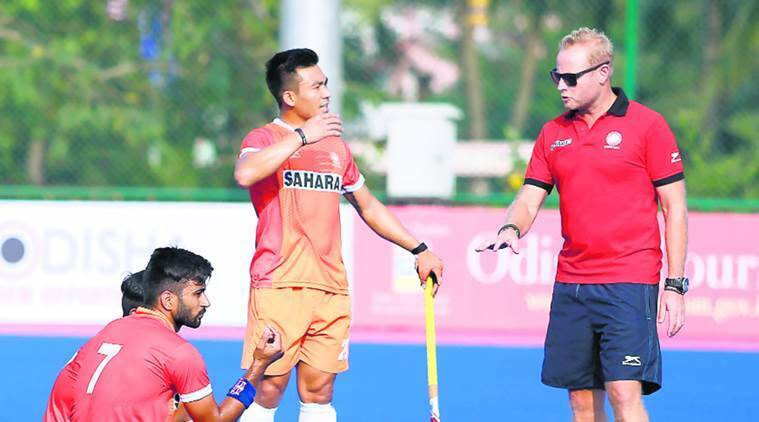 Hockey India’s high-performance director David John said Sjoerd Marijne was removed as the men’s team coach because of the poor result at Gold Coast. In an unprecedented move, Hockey India has swapped the men’s and women’s team coaches after a week-long review of the Commonwealth Games that concluded recently in Australia, where both teams finished fourth. While the fourth-place finish is considered “dismal” for the men, the same position has been seen as a “positive” for the women, more so because they stunned Olympic champions England in the group stages. Harendra has been credited for the turnaround in his six-month stint with the team, during which they also won the Asia Cup. John said the swap of coaches is a win-win scenario for all. Marijne, he said, enjoys the confidence of the women players while Harendra has plenty of experience in handling the men’s team. However, John claimed that “significant changes” will be made to the playing group and that the players have been pulled up as well. “The players are also going to be made very much aware that it was their execution and performance… that needs to improve. We can’t keep continuing to sack coaches,” he said.